Dior DiorShow Fusion Mono Matte Eyeshadow ($30 at Nordstrom) released in four shades with the Dior Trianon Collection for Spring 2014. These are a highly interesting product that remind me of Chanel Illusion d’Ombre Long Wear Eyeshadow in texture but with a matte finish. Don’t quote me but I do believe Dior DiorShow Fusion Mono Matte Eyeshadow were originally launched as a limited edition product but will remain in the permanent collection after Spring. These come housed in heavy glass jars with a small slanted brush applicator for application just like the Chanel d’Ombre shadows do. They are sheer, very sheer so if you’re looking for a subtle wash of color on lids these are a good place to start however, if you feel like spending $30 on a sheer shadow isn’t a fab option I’ll direct you over to the brand new Almay Softies as these are quite a dupe for Dior DiorShow Fusion Mono Matte Eyeshadow. The Almay Softies are also considerably cheaper at around $3.99-$5 and come in a wider selection of shades. I posted a pic below with part of the shadow squished in so you can get a little feel for the texture. If you’re at all familiar with Maybelline Dream Bouncy Blush you’ll like understand the texture of these new Fusion Mono Matte Eyeshadows. They almost have a clay-like texture that doesn’t technically “bounce” back to the shape it was but does sort of have a modeling clay feel when you press into them. The texture is a little softer than Almay Softies shadows but not by very much. They apply like a softer cream but they have a soft, silky powder matte finish. I’ve read a few reviews that claim these build well for a sheer or intense pay off but in my experience they are very sheer no matter how much you build. The best application method is with fingers as a brush of any kind is not going to aid you in proper application. The brush included with the shades in my opinion isn’t very helpful in applying the product. I like the soft focused finish of the shadow. 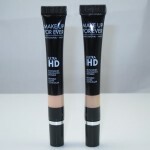 It doesn’t accentuate dryness and has a smooth, soft finish that looks airbrushed onto my eyes. I can see aging girls and guys loving these because they aren’t a product you need to tug to apply and they provide a lovely lightweight matte finish that isn’t harsh. Mattes are sometimes difficult to apply but these really takes the work out of matte shadow because it apples flawlessly with very little application no how. They did crease on my drier eyes at around the 6 hour period and they lose intensity fairly quickly at about the same time. So wear time iffy and a proper primer should be used for the longest wear. I have to admit they are absolutely luxurious and I loved them HOWEVER…you can get the same effects with Almay Softies at a few bucks versus Dior’s ouchie $30 price tag. They are a bit softer (this was barely noticeable though) than Almay’s version but aside from that the formula is very much the same. 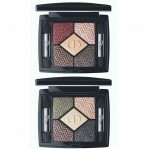 But for a sheer shadow Dior DiorShow Fusion Mono Matte Eyeshadow can be pretty pricy! Available now on counter and at Nordstrom.com. I wasn’t impressed with these, no glitter to me these are nothing special. They are so boring. I would definitely not buy these, they have no wow factor. I’ve had the purple for maybe a month now. I do think there’s more to the formula then the bouncy blushes. They have a very chemical smell but they stay on me better then the other like textures I’ve used and have to get an actual chunk out to build up any more then sheer coverage…I’ve been using mine a lip primer …especially with glosses. Works well for that..excited to hear about always though. I swatched them last time I went to Sephora, and walked away without even considering purchase! As much as I am a Dior fan, I have to say that these are so SO sheer that they are totally worthless in my opinion. It’s a shame, because the colors are nice basics, but no matter how much I tried, the lilac and dusty rose wouldn’t show on my skin. As for the taupe, it looked muddy (common for sheer brownish shades). There are so many other options out there for cream or hybrid shadows that are 10 times more pigmented for just a fraction of the price! Thanks for your reviews, I read a lot of them. I have an ongoing hunt for a pink matte lasting shadow and your review helped me to decide to give the Dior Fusion 641 a go. 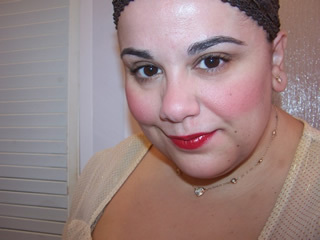 Loved your lipstick queen review too. aw my pleasure ;-D I hope you like it! Thank you for reading my reviews Carole!